Millbrook’s pride and joy Serena Ryder, who attended PCVS in Peterborough, has just released a new Christmas video called “Christmas Kisses”. 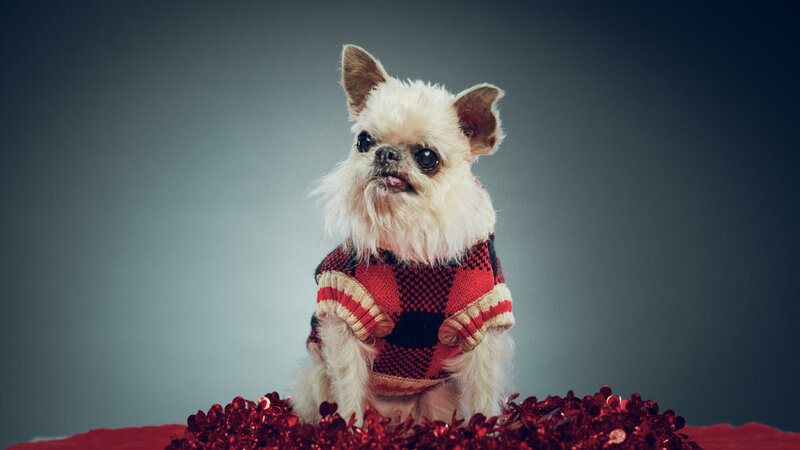 The title track from her very first holiday album, the song spotlights rescue dogs from the Ontario SPCA and dog influencers wearing festive styles. One of the dog influencers starring in the video is none other than Lakefield’s Owen the Griff, who has 73,000+ fans on Instagram. Indeed, the fit was great for Owen the Griff, as he has been an important influencer on Our Pet Project, the Peterborough Humane Society’s capital fundraising campaign to build a new state of the art facility in Peterborough to replace the existing one they are in that opened in 1956. Community support of YWCA Peterborough Haliburton’s 9th Annual Walk a Mile in Her Shoes surpassed the "3,000 Safe Nights Challenge" presented by Merrett Home Hardware Building Centre. A grand total of 3,007 Safe Nights ($138,204.12) have been made possible through YWCA Walk a Mile in Her Shoes, which took place at Confederation Park on Friday, May 26th. Donations raised through this year’s event will be invested directly in providing Safe Nights at Crossroads Shelter for women and children fleeing abuse. With more than 420 people of all ages, genders and abilities in attendance, this year’s Walk A Mile was the biggest yet. To learn more about YWCA programs and services that help women escape abuse and rebuild their lives, or to make a donation in support of the YWCA, click here. Relly On The Roof returns for a seventh year May 5th to 7th—again raising funds for Habitat For Humanity Peterborough & Kawartha. At noon on Friday, May 5th, Paul "Relly" Rellinger, along with the generous help from the Peterborough Fire Department, will be lifted to the roof of The Brick, located at 1200 Lansdowne St. W. While Habitat For Humanity volunteers collect donations in the parking lot below, Paul will live atop The Brick until noon on Sunday, May 7th. A highlight of the weekend will be a live music showcase outside The Brick on Saturday, May 6th, starting at 1 p.m. Featured performers are Rick and Gailie Young, Jan Schoute, Terry Guiel, John Crown, Elyse Saunders and Austin Carson. As well, barbecued hot dogs and soft drinks will be served by Habitat For Humanity volunteers over the course of the three days. Presented as part of the annual Peterborough Cares fundraising initiative, founded by Camille Parent, 2016 saw a combined total of $19,690.95 raised—with Relly On The Roof accounting for $9,375.65 of that total. For the Relly On The Roof event, Derek Deyell, manager of The Brick, is volunteering his time and store resources. Also providing invaluable support are Sobeys, Canadian Tire, Scotiabank, Tim Hortons and Boston Pizza. Organizing Relly On The Roof on behalf of Habitat For Humanity is Resource Development Manager Emily Ferguson, while Community Engagement Co- Ordinator Kate Cook is responsible for the volunteer component which the event is so reliant on. Both can be reached at 705.750.1456. Registration for the 17th annual Peterborough Dragon Boat Festival has begun. Organizers announced the return of “The Dragon’s Lair”, as well as brand-new social media and fitness challenges and incentives for participants and teams. The Dragon will return once again to Del Crary Park on Saturday, June 10th, 2017 for a day of competitive dragon boat racing between community teams, as well as breast cancer survivor teams. Proceeds of the popular fundraising event will continue to help keep breast cancer screening and diagnosis right here at home. Festival Co-Chair Michelle Thornton says that the organizing committee’s focus this year continues to be on finding fresh and exciting ways to let teams engage with each other, battling it out not just on the water, but to see who can raise the most for breast cancer care in our community. Participant and team social media engagement during the weeks leading up to the Festival is getting even more emphasis this year, adds Thornton. “By joining our private Facebook group, teams and participants will be able to take part in weekly challenges, get fitness and fundraising tips, access exclusive training and conditioning videos, and have a chance to win exclusive Dragon Boat prizes,” she says. Team registration is now open and all proceeds will go to the PRHC Foundation and support the purchase of a new, state-of-the-art mammography machine for Peterborough Regional Health Centre’s (PRHC) Breast Assessment Centre. Info on the 2017 Festival can be found on the website here. An early bird reduced registration rate is available until March 21th, 2017 with regular registration continuing until Sunday, May 7th, 2017. Teams and participants can also engage with the Festival on Facebook, Instagram and Twitter. Rob Fisher, co-owner of Ashburnham Realty (and brother of NHL player Mike Fisher) and his wife, Kelly Fisher, owner of Kouture Hair Studios, are parents to two beautiful boys. Rob has been growing out his locks since 2014, and has decided to cut it all off for a great cause—Five Counties Children's Centre in Peterborough, where each of his boys has received support. A GoFundMe fundraising page has been launched and all the donations to get Rob to cut his hair will go to Five Counties Children's Centre, which helps kids with physical, communication and developmental problems. Give what you can here for this great cause—the Fishers' goal is to raise $2,000 but let's raise way more than that—and spread the word on your social media channels. Peterborough parents Kristen Bate and Adam Godfrey are going through a very difficult time right now as their baby girl Violet was born February 3rd with a form of skeletal dysplasia. She was born unable to breathe fully on her own, and transported to Sick Kids in Toronto. Kristen and Adam have three other children in Peterborough, and are lacking funds to support their children at home and be able to visit Violet for an extended period of time in Toronto. Kristen tells PTBOCanada she is the only one in Toronto now while Adam looks after the kids, but they both plan to be with her early next week. They have been accepted into Ronald McDonald House, but still have additional costs. A GoFund me page has been set up by the family, and any help is much appreciated to help them during this difficult time. Kristen and Adam are hoping little Violet can come home to be with her brother and sisters in the next few weeks, and now they are waiting for results from a CT scan done on their baby girl. The Peterborough Petes and the Canadian Cancer Society Peterborough & District Community Office raised a record-breaking $97,035 in the 7th annual Pink in the Rink campaign on Saturday night (February 6th) at the Petes game at PMC. It was truly an amazing campaign and night with the community once again coming together for a great cause. The previous campaign record was $92,000, set back in 2013. The 2016 Pink in the Rink campaign featured seven honourary co-chairmen representing seven decades of Peterborough Petes hockey, including Pat Casey (1956-59), Wayne Boddy (1957-61), Greg Theberge (1976-79), Jody Hull (1985-88), Steve Webb (1993-95), Jeff MacDougald (2002-05), and Dylan Wells (2014-present). Congrats to all for a record-breaking campaign. The Women's Business Network Of Peterborough has donated $16,001.33 to the YWCA Crossroads Shelter to help local women and children who are victims of family violence receive healthy food, supplements and vitamins through the YWCA Crossroads Shelter’s Nutritional Well-Being program. In addition to receiving healthy meals for themselves and their children, women benefiting from the Nutritional Well-Being program can learn about meal planning, food preparation and the principles of nutrition. “For over 30 years, the Women’s Business Network has had a positive connection with the women and children who depend on Crossroads for safety and support," says Lynn Zimmer, Executive Director, YWCA Peterborough Haliburton. Zimmer adds: "When families arrive at Crossroads, mothers are often malnourished even if their children seem healthy, and, at times, are too tired or too stressed to eat well. Often, it’s been a choice between feeding her kids or feeding herself. At Crossroads, she can relax and take care of herself. Our kitchen counsellor not only prepares delicious home cooked meals that mothers can afford on a low income, but also teaches cooking classes showing them about the right foods to eat for their health. Food becomes a comfort again, instead of another source of anxiety." Since partnering with the YWCA, the WBN has donated a total of $252,100 to the YWCA Crossroads Shelter. By raising $16,000 this year, the WBN Holiday Gala and Auction Fundraiser will provide 1,388 days of food and well-being for local women and children who are leaving an abusive situation and staying at the Shelter. The “Three Loonies on the Street” raised over $100,000 on behalf of Kawartha Food Share this year, bringing their 15 year total to $1,200,000 raised. 101.5 The Wolf, 100.5 Fresh Radio and CHEX- TV hosted again this year, welcoming The Loonies—Peter Blodgett of Darling Insurance, Bob McGillen of McGillen • Keay • Cooper Law Office and Robb Bennett of the Liftlock Group in Peterborough. Kawartha Food Share assists more than 8,100 men, women and children every month through 37 member agencies. In 2014, their warehouse distributed over $10 million worth of food and emergency care needs.